How cute are these!! Love me some platform slingbacks. I love them but fearful that I would break my neck. These are gorgeous. I want them right now! delicious, but i would never ever be able to dance in those puppies. if ever get married its killer heals for the ceremony and ballet flats for the party! Love them. I decided to wear blue shoes as my something blue too. I bought the stuart Weitzman "Jumbo" in royal blue and they are the most beautiful shoes I have ever owned! 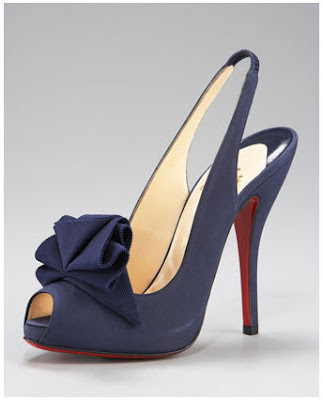 I think they are half the price of Loub's.Link shows the picture. Jillian- I love these!! I might have to get these ones instead, I love the blue! Ok these are gorgeous! LOVE the color and the cute little ruffle! I don't know what to say other than...fabulous! LOVE these. i would SO get them but unfortunately, i'll be too tall. i'm still on the hunt for something amazeballs though. Love them. I would say save up and splurge on them--- but think of what all you could do around your home with that extra bit of cash!?!? wearing them after you...something old?